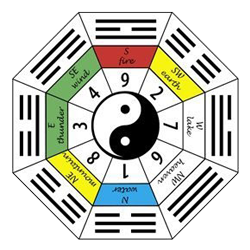 Ming Gua or Life Gua represents your personal trigram which protects you in the environment. Ming Gua is a deep desire to find the truth and meaning in life. 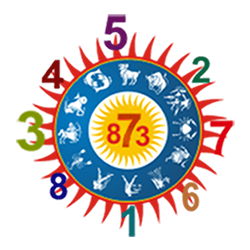 Ming Gua is a person's Destiny Number or Natal Trigram, and is derived from an individual's year of birth. Ming Gua is used to match a person's energy to the Ba Zhai, Eight Houses. The direction in which a person sleeps or does other prolonged activities is very important. Each person has his or her own energy, which in Feng-Shui is called a number of Gua, also known as your Ming Gua. Based on that number, people are separated into eastern and western, which does have nothing to do with hemispheres of the planet. Feng Shui means wind and water. Feng Shui advocates living in harmony with the earth's environment and energy lines, so that there is a balance with the forces of nature. Feng Shui Ming Gua Number divides people into 2 groups. The Feng Shui Ming Gua Number divides people into East and West group. Ming Gua numbers 1, 3, 4, 9 belong to the East group. Ming Gua numbers 2, 6, 7, 8 belong to the West group. Each person also has four favourable and four adverse directions. Favourable directions for Western people are North, South, West and South-West. Adverse directions are East, North-East, North-West and South-East. And of course it is the other way around for Eastern people. If spouses belong to different types of people, then the head of the family gets the direction based on his type. After years of research, Feng Shui masters have come up with a simple formula to calculate the health and wealth directions of people based on their birth years. This formula deduces the Ming Gua number of each individual. Ming means life and Gua means pattern. 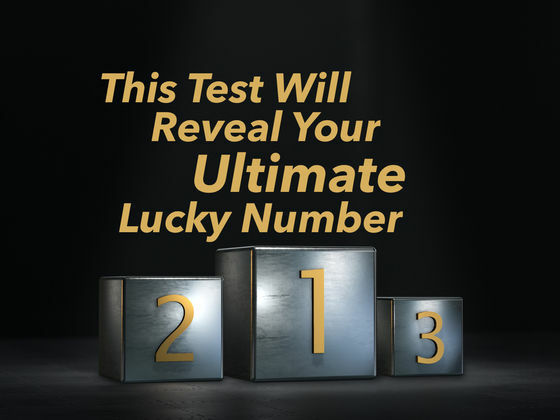 This number represents your pattern of life. A Ming Gua number will always be 1, 2, 3, 4, 6, 7, 8 or 9. This is because as per the original Feng Shui Lo Shu number grid, each number has a direction associated with it, except for the number 5, which falls in the centre. Often people wonder how a change of direction of the work desk can bring them a promotion. Every person has an internal Chi energy that traditional Chinese medicine doctors analyse to cure the body. Feng Shui aligns the external Chi that directly affects human beings. External Chi enhances our internal Chi, thereby giving us good health, which promotes our clarity of thinking, helps us making right decisions and leads to enhanced wealth. Good Chi also gives you confidence and charisma, which in return will bring around friends and new opportunities. How to properly implement health and wealth direction? At work orient your desk so that it faces your wealth direction. At home, while sleeping, orient your bed in such a way that when lying down, your head points in your favourable direction. While eating try facing your health direction. Do the same for all other work like watching TV, sitting in the living room, or working at home. For stronger effects, it is recommended to be in your wealth sector and also face your wealth direction. Hence a person of Ming Gua number 8 will do best if seated in the SW sector of the premise and also face SW direction. As you can see from the chart, each Ming Gua number attracts a different kind of prosperity. Feng Shui masters recommend that you work, sit or sleep with your head or face pointed in your Sheng Chi (Success) Direction. The energy from this direction attracts prosperity, vitality, respectability and reputation. This is your best magnetic direction. Strive to face this direction when conducting anything important, e.g. interview, business negotiation, your office desk. Anyone with poor health should try to locate his or her bed head to this direction. (The crown of your head should point to this direction when you are lying down). Yan Nian direction enhances the quality of relationships in the family. This direction also promotes longevity. This is a good direction for adolescents going through growing pains. This energy brings about peace. This is a good direction for meditation and for very young children to face or to sleep with their head (crown) pointing to this direction when they are lying down. If you are into self-development, this is the direction where your bed head should be. As you can see from the chart that working, sitting or sleeping in any of your inauspicious directions can only create problems in your life. So, please, try not to face any of these directions for any length of time. These are the four directions that one should avoid strenuously especially the two worst directions. This energy is considered the least harmful but has been known to lead to all kinds of intermittent difficulty and frustration. 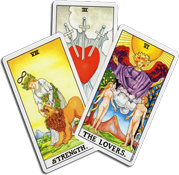 This energy generates the kind of bad luck that leads to fire, loss of income, burglary, fear and insecurity. This is the most harmful and dangerous direction. This energy represents disaster, misfortune, disease and unproductive career. Every care should be taken to avoid facing this direction. The calculation of Ming Gua number is different for men and women. If you are born between Jan 1 and Jan 20, then you consider the previous year as your year of birth. If you are born between Jan 21 and Feb 22, then check whether you are born before or after the date of the Chinese New Year for that year. If you are born before that date, then you consider the previous year as your birth year, if you are born after that date then you consider the western calendar year. If you are born after Feb 23, then consider your birth year same as the western calendar. Add the four digits of the year of birth. Continue adding till you get a single number. This gives your Ming Gua number. If the result is 5, then consider number 8 as your Ming Gua number. As a Gua 8 your favourable directions are SW, NW, W and NE. For example a female born in March 1969 should add, 1+9+6+9 = 25. Then 2+5=7. Now, add this to 4 so 7+4 = 11. And 1+1 = 2. Her number is 2. Add the four digits of your year of birth. This gives you your Ming Gua number. If the result is 5, then consider number 2 as the Ming Gua number. As a Gua 2 your four favourable directions are NE, W, NW and SW.
For example a male born in January 1969 should add 1+9+6+8 = 24. Then 2+4=6. Now, deduct this from 11 So 11-6 = 5. But since 5 is not a Gua, for male we consider 2. His number is 2. What is your Ming Gua Number?